Cataract Surgery — Spectrum Eye Care, Inc. It's no secret that a medical procedure requiring surgery can be a frightening experience. We make sure our patients receive the very best care in these situations. We offer the latest in no-stitch, small incision ultrasound technology for the removal of cataracts and implantation of intraocular lenses. This procedure results in significant improvement in vision for most patients within the first few days following the procedure. 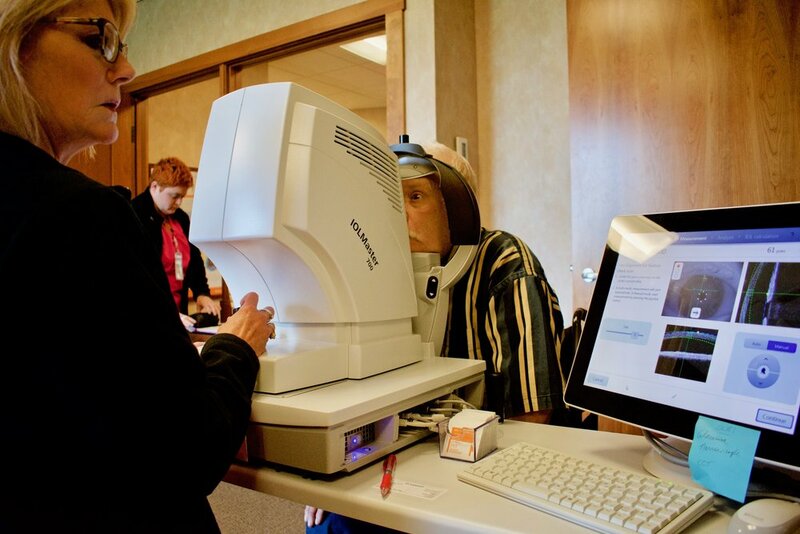 To achieve the best outcome after cataract surgery a thorough pre-operative office assessment is a requirement. This process starts with the patient. Driven by your unique visual needs and requirements we build a customized surgical treatment plan. 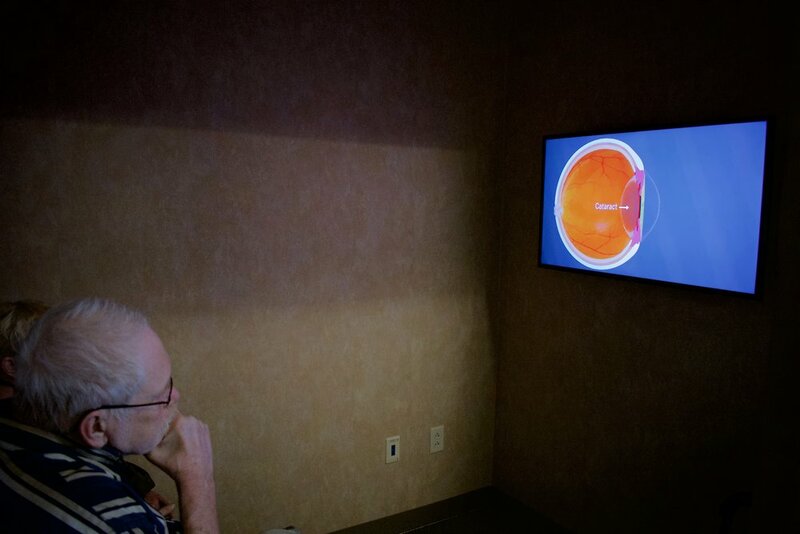 At Spectrum Eye Care we use the most advanced pre-operative assessment technologies and thoroughly assess each patient’s ocular, visual, and systemic health. All of this information is consolidated into a coherent surgical plan. 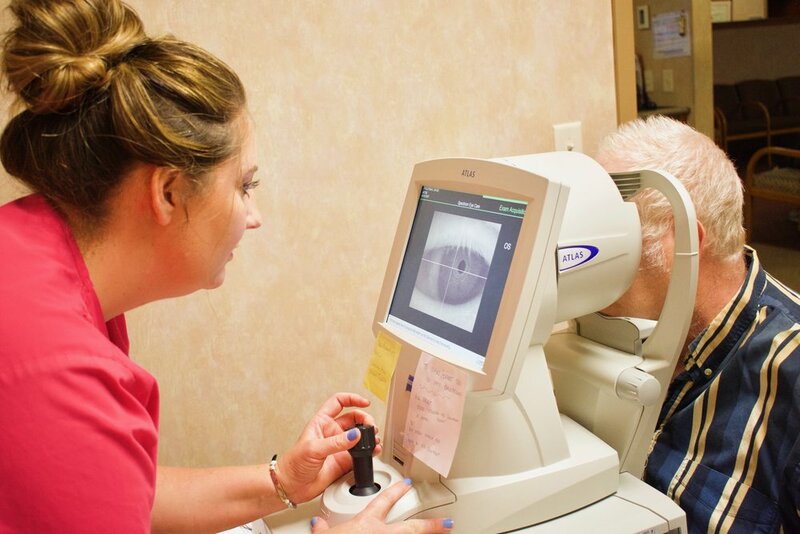 We are fortunate at Spectrum Eye Care to have very experienced staff and doctors whose dedication to excellence and commitment to providing the best possible surgical outcomes are at the forefront of their efforts. Please ask questions and engage our knowledgeable staff and doctors with meaningful dialogue. We are here to help. 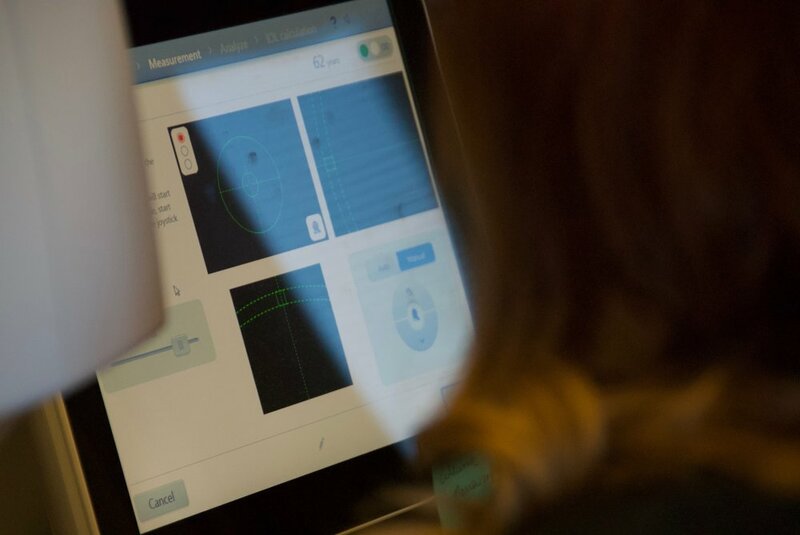 This is a thorough examination that includes a full ocular health check with pupil dilation and multiple pre-operative tests that measure the shape and length of the eye. 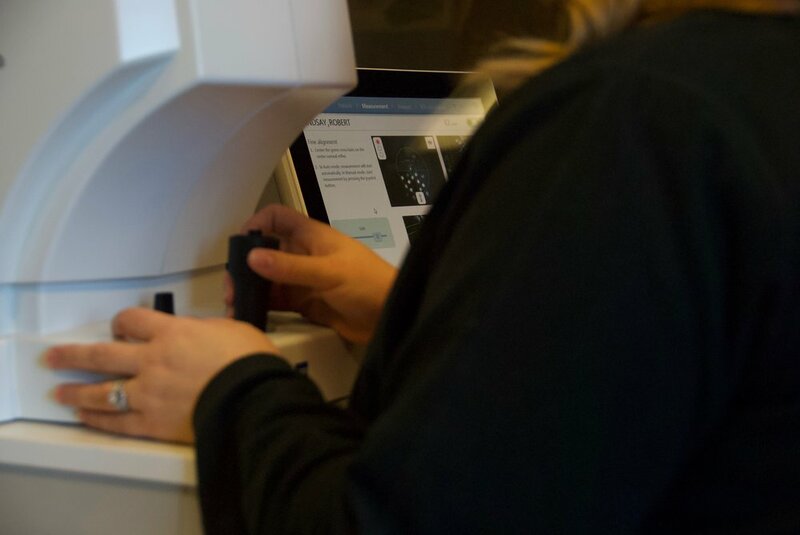 After the doctor determines that you are a good candidate for cataract surgery, he or she will then discuss the different lens implant options you may be a candidate for. There are special implant designs that are available for correcting astigmatism and/or presbyopia. Our staff and doctors are here to make you feel comfortable and confident about your decision regarding elective cataract surgery. After the examination you will meet with our surgery coordinators where they will discuss in detail what to expect before, during, and after surgery. They will review the pre-operative eye drop schedule with you and answer any questions you may have. They will also help you select a date that fits your schedule. In addition, you will watch an informative video which outlines what to expect when undergoing cataract surgery. We are here to help get you on your path to better vision and reduce your dependency of glasses. Prior to the surgery a nurse will get you prepped for the surgery and dilate your eyes. The surgery will typically last 8-10 minutes. 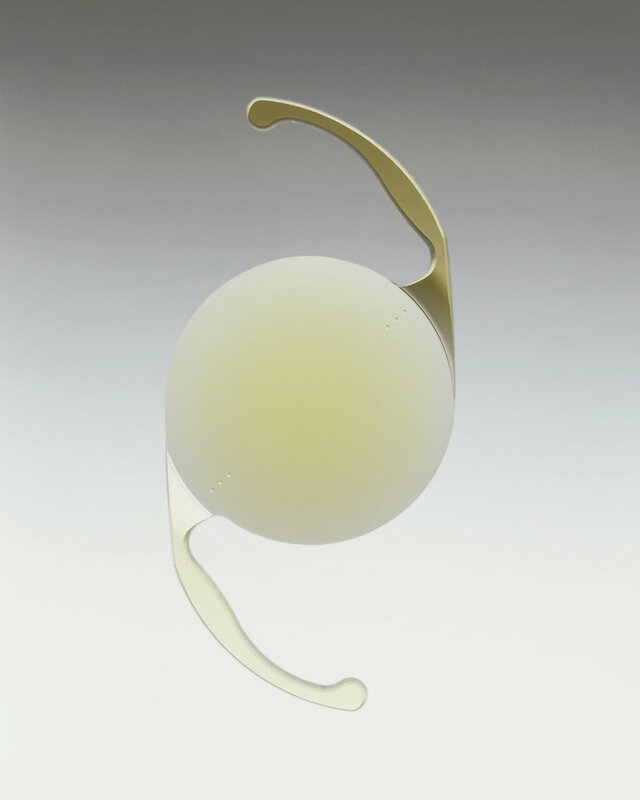 After surgery a lightweight protective shield will be placed over your eye for protection and you will be given a pair of dark sunglasses to reduce light sensitivity. A nurse from the Findlay Surgery Center will review post-operative instructions and the schedule of eye drops for 3 weeks following surgery. Be sure to have someone with you the day of the procedure and available to drive you home afterwards. Your eye may still be dilated the day after surgery. You may notice you are slightly more sensitive to light after surgery. You will see an eyecare provider for post-operative care the day after surgery to ensure the eye is healing appropriately. You can bath or shower but avoid getting water in your eye. A slight burning, stinging, or gritty sensation after the procedure is normal. Call the office immediately if you are experiencing any pain, headache, nausea, or a sudden decrease in vision. In the coming days and weeks, it is important to be patient as your eyes heal and recover from the surgery. You may experience mild fluctuations in vision the first few days and even weeks after the procedure. Artificial tears will often aid with mild discomfort and irritation. At this time your eyes should be healed from the procedure and post-operative drops are no longer needed. However, continued use of artificial tears is common due to dry eyes. 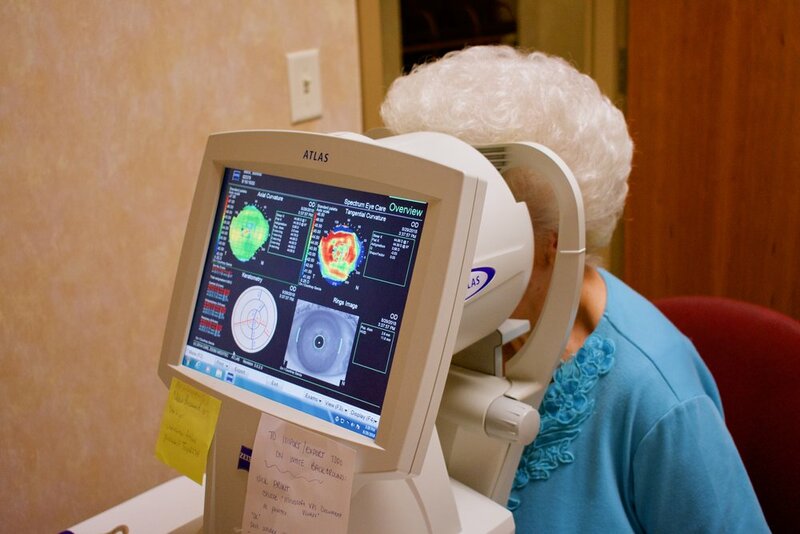 At this visit your eye care provider will typically give you a new prescription for glasses after the surgery. Some patients may elect to simply use over the counter reading glasses. Talk with your doctor about the type of correction that will benefit you most for your lifestyle. A “second cataract” can sometimes develop months or years after successful cataract surgery called Posterior Capsular Opacification. What is a cataract? A cataract is a clouding of the natural lens of the eye (which is located behind the pupil and iris). disorder. Prolonged exposure to sunlight and smoking may contribute to cataracts. Do cataracts ever go away on their own? No, the only treatment is surgery. sun exposure. Avoiding smoking can aid in reducing cellular oxidation. others change in a few months. Uncontrolled blood sugars can accelerate the growth as well. How long does cataract surgery take? Generally 10-15 minutes. their nerves and the eye is numbed with eye drops. General anesthesia is not typically necessary. safely out of the post-operative period. How long is the recovery time? This varies from a few weeks to longer in certain individuals. Normal activity generally resumes very shortly after surgery. membrane may become cloudy. In this case, a simple laser procedure treats the cloudy membrane in office. Will my glasses be changed after surgery? Yes. The optics of your eye will change because the lens that you were born with will be replaced with a different powered lens.